Fundraiser by Pam Brekken : Save This Animal Sanctuary! What happens when no one wants you and you are a horse, miniature horse, or a donkey? Maybe you’ve been starved, abandoned in the mountains, or abused. Unlike for dogs and cats, often there is no local shelter for larger animals. Home On the Range Animal Haven rescues horses, donkeys, goats, and other animals in southern Wyoming. And, the animals we’ve adopted pass the love on by rescuing young people who come to care for them. Unfortunately, this animal sanctuary that does so much will lose its home on May 1st, unless you can help. Whether it’s $5 or $5,000, every gift counts so the work can continue. Please help us raise $250,000 and please read on to learn about how we save lives! Starved and neglected, the miniature horses Moonlight and Husker came to Home On the Range with infections that required treatment. Also, Husker came with hooves so overgrown that walking was painful. Hooves left in this condition much longer can ultimately mean that a horse has to be put down. Moonlight and Husker are still recovering, but have made amazing progress. During their first days at Home On the Range, these miniature horses were taken under the wing of Jetson, an older rescue horse who watches out for them. 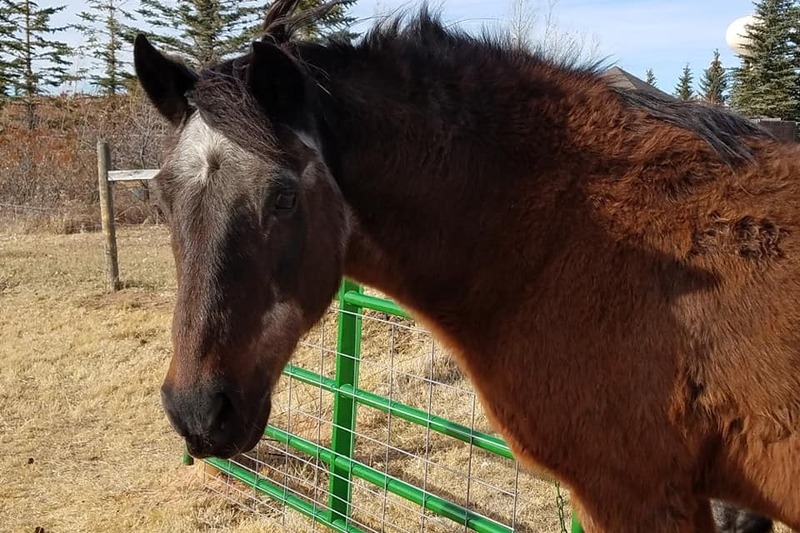 Jetson is a very gentle 33-year old horse who would not be alive today if it were not for the special diet and care that he gets at Home On the Range. When Josh (his name is changed for confidentiality), a teenager who is a non-traditional learner participating in the Wyoming Cowboy Challenge Academy program came to Home On the Range for his community service work, he was excited to have the chance to visit with the horses, donkeys, and goats. But, most of all he connected with Jessie the donkey. 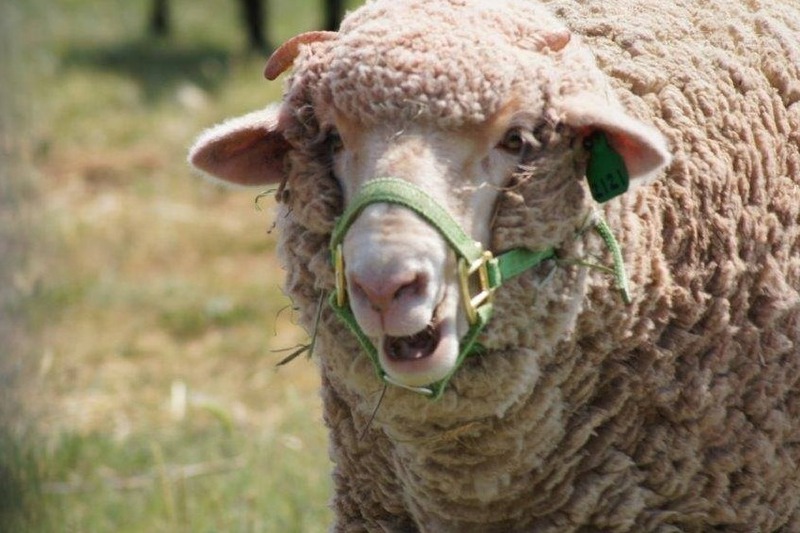 Jessie came to Home On the Range after spending years being neglected, seriously overweight, and constantly isolated by herself in a remote pasture. 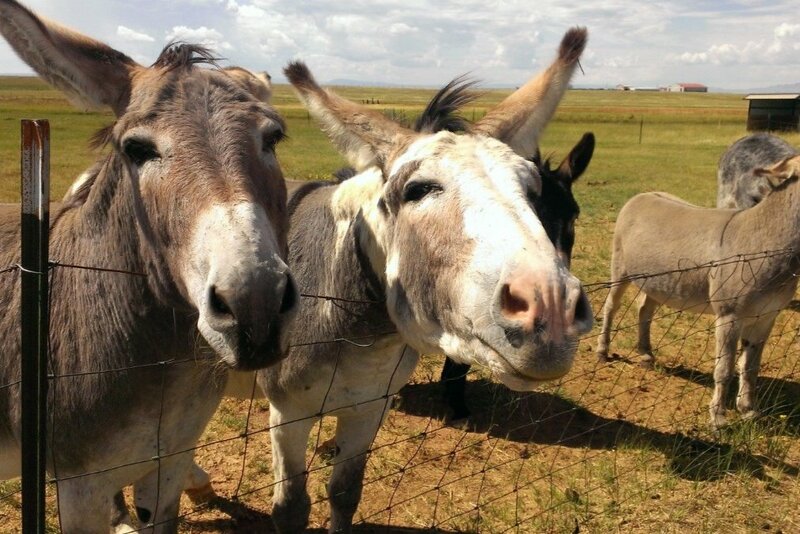 But, donkeys are herding animals and need company. 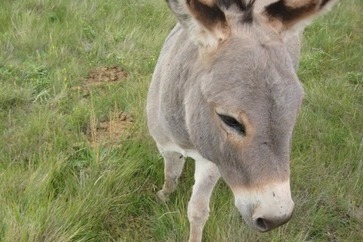 A kind soul, Jessie has found her herd of donkeys and people at Home On the Range. During his visit, Josh connected with Jessie, giving her hugs that were welcomed. When he left after his visit was done, this young man had a day that helped lift the weight of past experiences off his shoulders. He said Jessie gave him totally accepting love. To Jessie, his past didn’t matter, she instinctively reached out to Josh with her love—and gave him hope. Home On the Range is a non-profit 501 (c) (3) organization. The absentee owner of the property that houses Home On the Range has decided it is in her best interest to sell the property, which she has provided as a sanctuary for no rent, until now. We are reaching out to you to help us purchase or rent land for a new forever home to house these deserving animals who have already been through so much. All of your money goes toward this goal, or for animal shelters and feed, because we are staffed only by non-paid volunteers. With your help we can continue to give animals a safe home and rescue more animals. And, with your donation, Home On the Range can continue to reach out to youth from all backgrounds, special needs adults, school children, community members, and others. 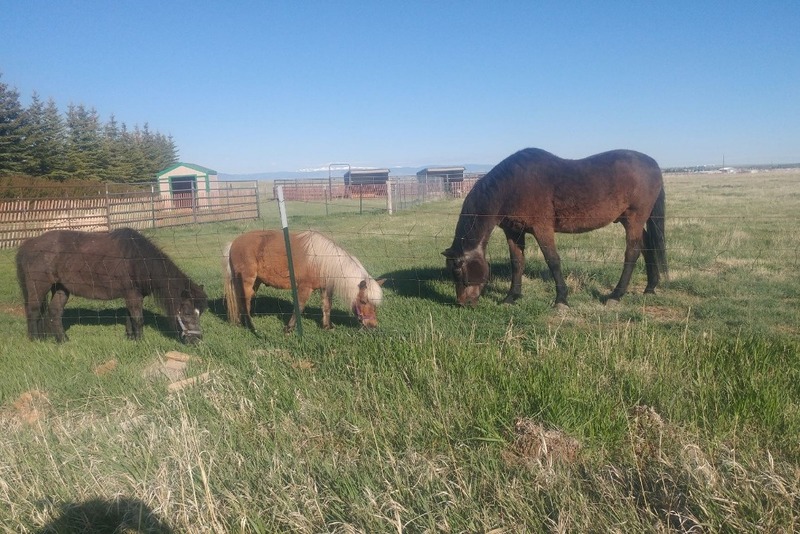 Located just outside of Laramie, Wyoming, Home On the Range is an animal sanctuary currently housing 36 neglected, abused, and abandoned animals, including horses, miniature horses, donkeys, goats, sheep, cats, dogs, as well as a few turkeys and chickens. Each of these animals has come from a difficult past, such as Husker and Midnight, Jetson and Jessie. Two other examples are Peebs the sheep and a donkey named Benito. Peebs came to Home On the Range because the pasture in Peebs original home continued to flood. Benito was found abandoned in the mountains and wandering in roadside ditches looking for food. Home On the Range currently occupies 60 acres and has served a two-fold purpose: 1) returning rescued animals to sound physical, social and emotional health while providing a forever home and 2) enabling youth and special needs adults to enhance their self-worth through interaction with the rescued animals. In a very real way, Home On the Range rescues animals, and the animals prosper by helping to rescue people from different backgrounds, especially youth. Our youth volunteers do projects on behalf of the animals and simultaneously derive healing through their interactions with the animals. For example, we regularly host youth from the Cathedral Home for Children. These are youth who have been placed in the home from different parts of the country, including from large cities. We host volunteers from Peak Wellness Center, which provides counseling for youth. 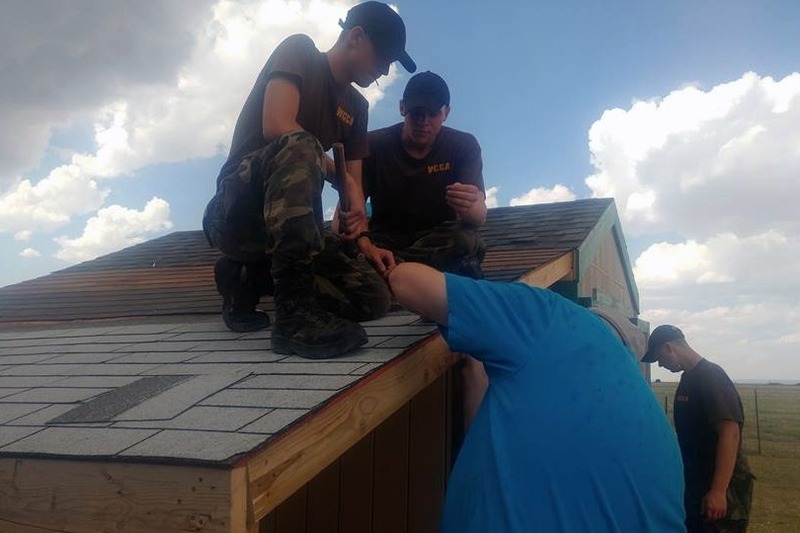 We host volunteers from the Wyoming Cowboy Challenge Academy initiative that takes youth and places them in a 5 1/2 month residential program to help them find direction through structured activities and education, including community service. We host youth and adults with intellectual disabilities and acquired brain injuries from ARK Regional Services who find purpose through visiting with and grooming animals. We host elementary school classes to come and learn about these wonderful animals, as well as about giving to something larger than themselves. There are many other examples, but the important outcomes are that the animals have a safe home and that the people who visit leave with a renewed sense of purpose. For many of these animals, Home On the Range is a place of last resort. And, several hundred people have benefited from giving to and interacting with these animals. There is no greater satisfaction than to see a young person walk a little taller and realize there is a caring animal that responds to them with total acceptance—giving them a sense of hope. Please help Home On the Range continue this work of reaching out to animals and people, and by doing so you help to bring more tangible compassion into the world. We are still working on finding land for a new home and are appreciative for the hay we have today, the donations and kind words everyone has sent our way and the spring thaw. Thank you to all the kind souls who have donated and left inspirational comments. We appreciate your help and are grateful for all you've done. We have some sad news to share about one of our animal family members. Jetson passed away last Friday March 22nd. He was 35 years old. He spent the last seven years of his life at Home on the Range and was a very kind soul. Jetson was Sadie's best friend until she passed away in 2016. They were quite the pair. Jetson loved visitors who came to Home on the Range and loved to be brushed and petted. He was a lover. Two years ago Moonlight and Husker found their home at HORAH. Jetson took over the job of showing them the ropes. They became His ponies, the three of them were inseparable. We love you Jensen. You will be missed!